Tony Mason's account of his life from his earliest years is a remarkable feat of apparently almost total recall by a man now in his late 80's of even the most mundane events in his long and varied career in Banking, the Army, Colonial Service, Brewing and Bookselling. Only 3 chapters out of 21 deal with his time in Kenya and Uganda with the East Africa High Commission as an Income Tax Officer so his book may be of limited interest for readers of this journal. 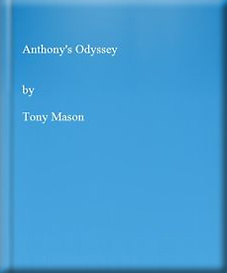 Tony Mason writes with great fluency but has not been well served by his editor. There is sometimes too much trivial detail and not enough insight or analysis - the trees are visible but it is often difficult to see the wood. There are also some odd errors that editors should have picked up. For example it was news to me that there was an "Aztec" (rather than, I assume, "Anzac") Division among Allied forces in Britain during the War (p 63). However, to fill nearly 400 pages of memoirs in one's late 80's is a considerable achievement in itself and occasional errors entirely forgivable on the part of the writer. Perhaps the most interesting and amusing chapters of Tony Mason's book are those describing his military service in the Reconnaissance Corps in Britain and Northern Europe where his administrative and financial abilities were recognised and put to good use. I get the impression that, like others of his generation, his time in the Army during the War made the prospect of a life in banking seem less appealing and guided his footsteps towards the Colonial Service.